While I enjoy Wilde in all the ways a man is supposed to, I'd dare say that there are times when even his brilliance cannot compensate the blunders of others. 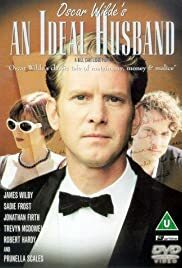 This being said, I'll be concise: Mr. Cartlidge's adaptation of Wilde's play takes itself far too serious to work and while this is bearable in itself, the questionable caliber of the actors' performances adds another tedious and gross layer upon an otherwise totally lovable affair. The result is an even, blunt and only partly entertaining production which retains some of its initial values, but misses out on its potential. I do not doubt that any work of art can have unlimited interpretations (although I do not agree to this conception because we are, most unfortunately, limited, pitiful creatures), but only some are rewarding for the masses, with this being a rather lukewarm experience.